Similar to fennel and anise, celery seed has a grassy, hay-like, slightly bitter aroma and taste. Juniper Berries are spicy, sweet, with a piney aroma. They are delicious in stews and soups and with meats and are a common flavor ingredient in bitters. Nettle is traditionally used for providing relief from allergies, and for use as a nutritive tonic. 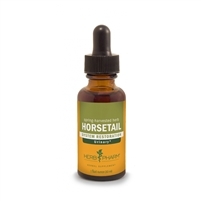 It is excellent for supporting a healthy inflammatory response, respiratory health, and liver support. Nettle also helps to soften skin and support healthy, luxuriant hair growth. Organic Dandelion Leaf is commonly used for its diuretic properties. * Owing to its support of urinary tract health, cornsilk has traditionally been used to address concerns of the kidney, prostate, and bladder. * Bilberry leaves are astringent and have been traditionally used to support urinary tract health, including the kidney and bladder. Agrimony is an herb traditionally used for its tonifying properties of the liver and as a cleanse for skin and blood. Calendula flowers have skin-soothing, protecting and toning properties. They are used in all types of skin care preparations including salves, body washes, scrubs, creams, ointments and lotions. Hydrangea root is traditionally used as a tea in toning the liver and kidneys. anti-inflammatory. Stinging Nettle seed is a rich source of essential fatty acids. Stinging Nettle seed is currently being used in clinical practice as a trophorestorative for degenerative kidney disease. Cases of chronic nephritis with moderate loss of kidney function, glomerulonephritis and Bergner's disease have shown improvement of renal function and increased excretion of wastes. In old herbals, Stinging Nettle seed was also recommended for goiter, tuberculosis and malaria fevers. Warnings & Disclaimers: Caution: As with any dietary or herbal supplement, you should advise your health care practitioner of the use of this product. If you are nursing, pregnant, or considering pregnancy, you should consult your health care practitioner prior to using this product. This product is not intended to diagnose, treat, cure or prevent any disease; the law applicable to dietary supplements, the Dietary Supplement Health and Education Act of 1994, commonly referred to as DSHEA, does not permit us to do so and it is not our intention to do so. The Contraindications and Potential Drug Interactions information provided on this website is not intended to be all-inclusive. Keep your healthcare provider informed about any herbal and other dietary supplement products that you are taking. gallbladder and is considered to be a reliable detoxifying agent. disinfectant, digestive tonic, and blood cleanser. Bugleweed is traditionally used to balancing overactive thyroid glands. Caution: As with any dietary or herbal supplement, you should advise your health care practitioner of the use of this product. If you are nursing, pregnant, or considering pregnancy, you should consult your health care practitioner prior to using this product. This product is not intended to diagnose, treat, cure or prevent any disease; the law applicable to dietary supplements, the Dietary Supplement Health and Education Act of 1994, commonly referred to as DSHEA, does not permit us to do so and it is not our intention to do so. The Contraindications and Potential Drug Interactions information provided on this website is not intended to be all-inclusive. Keep your healthcare provider informed about any herbal and other dietary supplement products that you are taking. The gentle freeze-drying technique used preserves the natural constituents present in our organic Cranberries to resemble the form used in clinical studies.